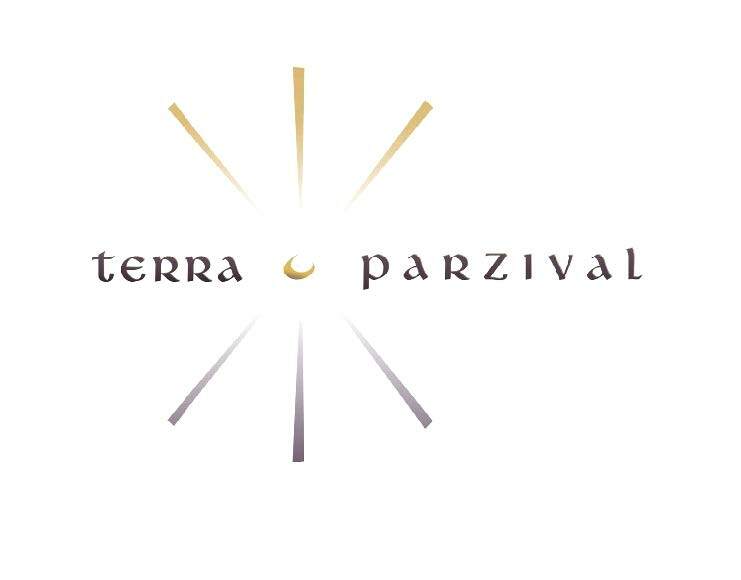 Multidisciplinary flow of music, philosophy, story-telling and path through Terra Parzival will shift your paradigm of leadership and take it on a whole new level. Meet the world of pure creative potential that is trying to emerge through you. Turn your life and your corporation into a well tuned orchestra and experience the joy of co-creation. The archetypal ancient story of Parzival speaks the language of the emerging future: the challenge to rise from ignorance to the highest possible responsibility, the journey to the source of one’s highest potential, the true Identity! Join Parzival on the journey from a naive boy to the king of the holy grail. This is the pattern of the leadership learning paradigm shift: From profound experience to deep insight! 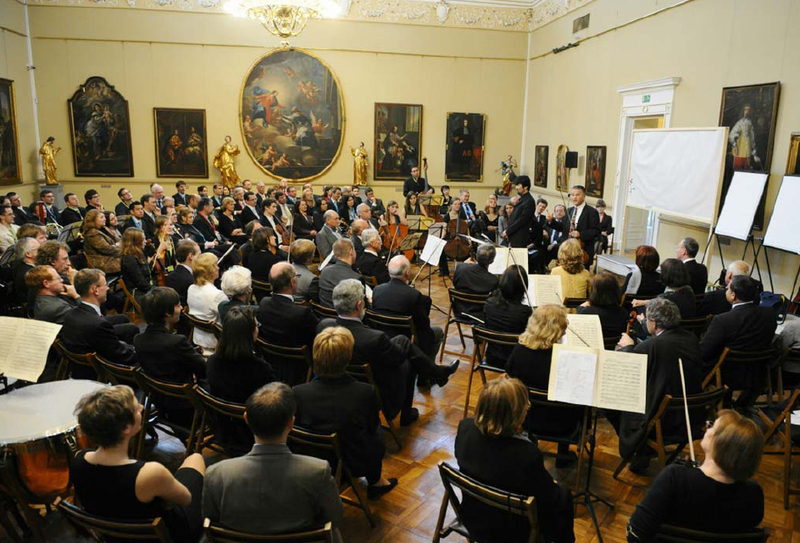 We will start on the “resonance platform” in the beautiful festival hall of Ptuj castle at 3 p.m. sharp. You will be sitting among the musicians of the Terra Parzival Symphony Orchestra and experience the journey “from ego to I”, from the prime to the octave through the Beethoven Violin Concerto. Flow of music all around you with the experience transfer simultaneously emerging as a painting through a disruptive method of violinist Miha Pogacnik. 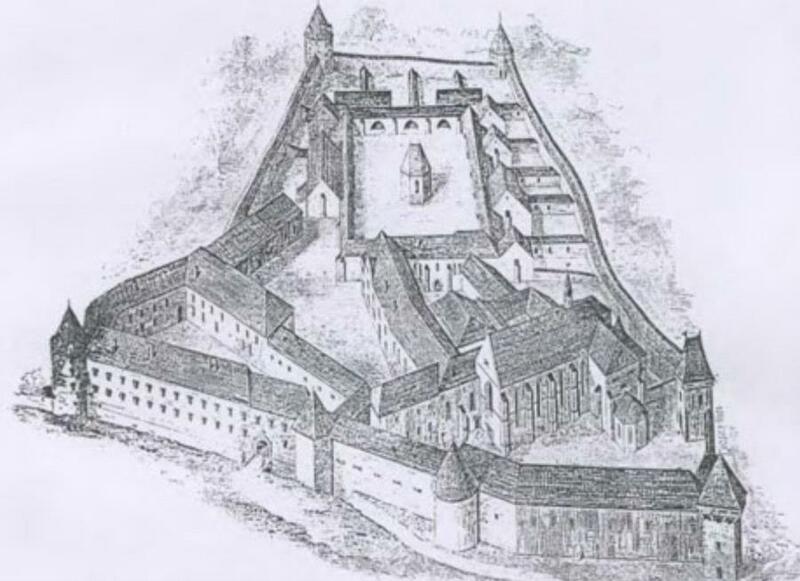 We continue in the Dominican monastery just below Ptuj castle. Dr. Davorin Peršič will open the inner philosophical perspective on the “Parzival stream” with its roots in mithraism and manicheism and the relevance to the contemporary leadership challenges. After the lecture participants will cross Drava river to see the ancient Roman Mithra temple in Hajdina (Hajdina=Gandin, grandfather of Parzival). Then follows the medieval dinner in Dominican monastery and the beginning of the storytelling by Micaela Sauber (story of Gahmuret, Parzival’s father) , based on Wolfram von Eschenbach’s Parzival. http://www.terraparzival.net/stran/9/PARZIVAL-IN-SLOVENIA. Conclusion in the wine cellar. The path on the grail story continues! 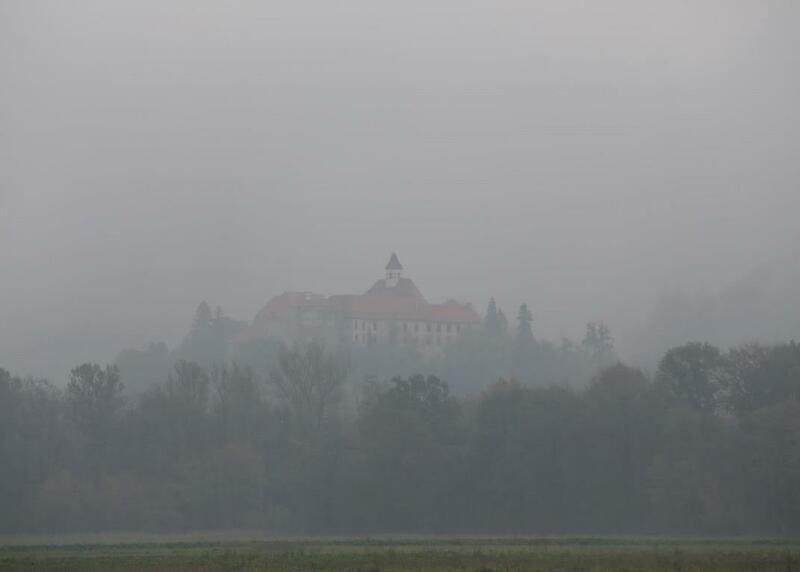 We leave Ptuj hotels at 8:30 AM. The first stop are the ruins of Žička Kartuzija monastery, where the storytelling and musical experience touches on the portals of birth and death. Miha Pogacnik starts in the medieval mortuary chapel for monks. 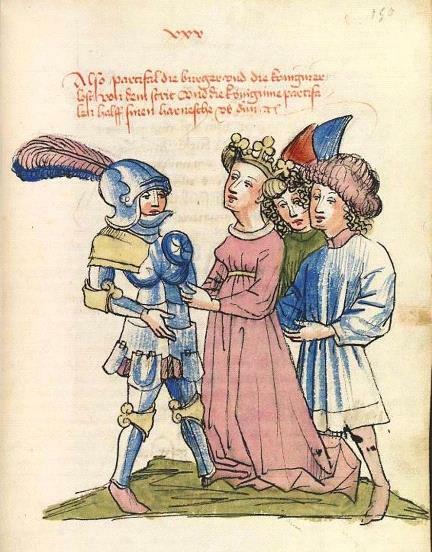 Then Micaela Sauber tells the story of Parzival’s birth and youth (»Soltane« and early knighthood experiences) Miha introduces musical implementation strategy for organisational culture transformation. 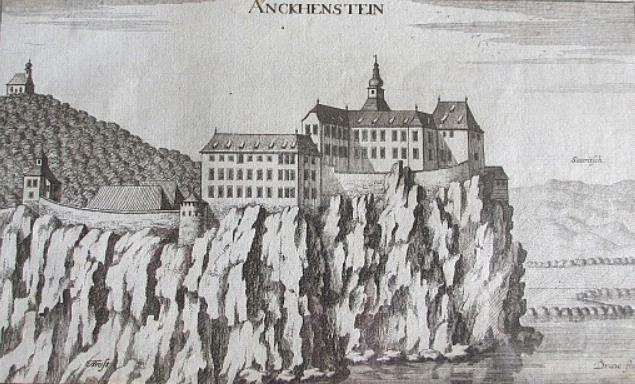 We spend the afternoon in Studenice, in the magic place of water sources, according to Eschenbach: “Fontana la Zal-Waesche”, the hidden temple of Sigune and Shionatulander under the mythical mountain Mont-Zal-Wotch with Lohengrin legend. Local women will prepare the lunch. Here story telling continues, touching many problems of modern day leadership experience, foremost the one of not being able to ask the right question at the right moment, this disaster symbolized in Parzival’s failure during his first visit to the Grail castle. And we have enough time to “digest” the learnings in small groups conversations. Axel Schmittknecht, Grow GmbH (http://www.grow.ag), is in charge of the “leadership empowerment circle”. Adriana von Runic Whittington gives special contributions during the entire quest. There will be 2 departures from Ptuj hotels on Sunday morning: Those who feel adventurous and young in hearts will leave with Miha Pogacnik at 7AM, (just grab a coffee), take the bus into »hidden Grail grounds« and walk through the canyon countryside to reach the Trevrizant’s cave at 9:30. There lovely breakfast will be waiting for them prepared by Grail maidens, the rest of the participants will join there. (They will leave hotels at 8:30) The story of Parzival’s »productive resignation« and turining point will be told in front of the »resounding« cave. It is the famous Good Friday conversation between Trevrizent and Parzival which took place here in the middle of the 9th century. Only now, after long journey (through the imagination of this story and musical support, the time experience will have changed for you…) , we arrive to the final stage of the quest: As it was with Parzival entering the Grail Castle for the second time, asking the question and becoming the king of Grail, we conclude with the story and farewell lunch in front of the castle Borl-Ankenstein welcomed by the wonderful and friendly local population. The formal programme ends at 2:30 PM for early departures. The rest of the participants will have philosophical »deep dive« into Parzival Story with Ruediger Blankertz, with music support by Miha Pogacnik. Location: Cultural centre Parzival in Hrastovec and surroundings. This seminar will continue also on July 30-31. The investment does not include hotel and arrival&departure to/from Terra Parzival. Slovenian participants who attended and supported Terra Parzival before are welcome to contact us for reduction of the price. We reserve the right to make changes in the programme at any time.